Taumarunui, The King Country and the Central Plateau offer some of the best trout fishing water in New Zealand. Whakapapa is a trout fishing paradise for fiesty Rainbow and large brown trout. 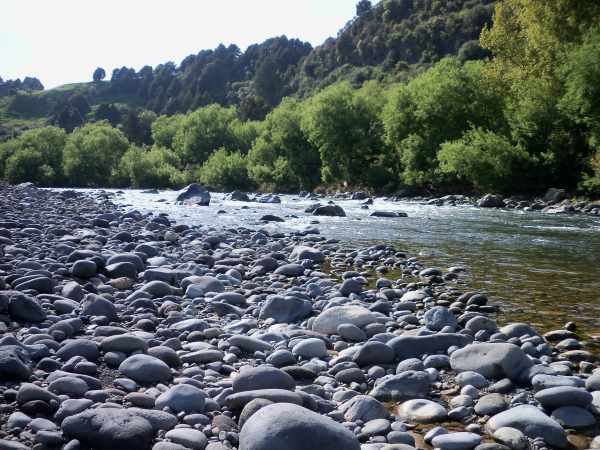 The mighty Whanganui River with its deep pools and bouldery runs offer excellent nymph, wet fly and dry fly fishing for large aggressive Rainbow and Brown trout. This was the location for the World Fly Fishing Champs in 2008 and is renowned as one of the best. A point to note is that the Whanganui River is open all year round from the confluence with the Whakapapa down stream, so the Tongariro is not the only big river to have a spawning run on the Plateau. The Ongarue headwaters are perfect for summer dry fly fishing, as are all of the smaller tributaries that offer spring magic from the first of October each year. Ken regularly trout fish’s all of these great waters, and can give you the very best practical advice based on his personal experience in spin and fly fishing. At Seriously Outdoors we can outfit you with quality fly fishing rods and reels from our leading brands of Kilwell and Temple Forks Outfitters. We also offer a wide variety of spin rods and reels and carry an extensive range of fresh water lures and flies that perform particularly well in our local waters. We also sell Fish and Game Sport Fishing Licences, Taupo Fishing Licences and Boat Ramp launching permits. We are able to advise and help you with the best river access points. So for fly fishing and trout fishing rods, reels and the best advice in the region, you have to visit Seriously Outdoors.